Mobile devices are incredibly convenient, but thumb typing is harf. But no matter how hard it is to type with your thumbs or on a touch screen keyboard, it’s not like you can carry around a full keyboard wherever you go, right? That sort of defeats the purpose of a mobile device. 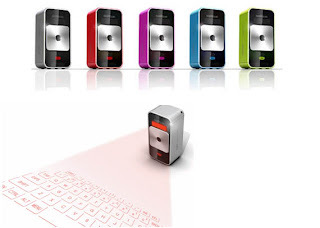 Well not really if your keyboard is only the size of a small cell phone, but how is that possible? 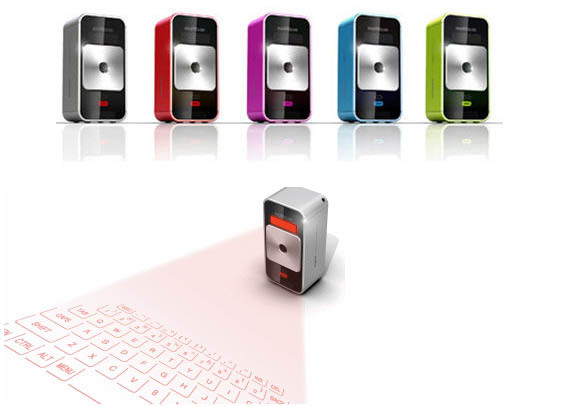 The Magic Cube Laser Keyboard projects a keyboard onto any surface, allowing you to get a natural typing experience without lugging around a big qwerty everywhere you go—it even makes a clicking noise when you type.